Larnaca Airport (LCA) is the main international airport in Cyprus serving more than 7 million passengers annually. The airport is located only 4 kilometres southwest of Larnaca. The second largest airport is Paphos International Airport on the other side of the island. Larnaca Airport became the main airport for the island after Turkish invasion in 1974 which led to the closure of Nicosia Airport. Larnaca Airport nowadays serves as a hub for Aegean Airlines, Cobalt Air, Cyprus Airways and Tus Airways. The airport has only one terminal – departures on the upper level and arrivals on the ground level. 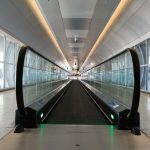 Larnaca Airport to Nicosia – since there is no airport in Nicosia, shuttle bus runs every day from Larnaca Airport to Kapnos station in Nicosia. Travel time is approximately 35 minutes. One-way ticket costs €8 and it can be bought directly at the airport. 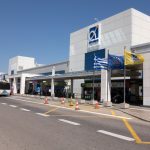 Larnaca Airport to Larnaca – Larnaca Airport is located only 4 kilometres southwest of the city center so it shouldn’t be a problem getting there quickly. There are 6 buses which operate in direction to Larnaca, while the fastest ones are lines 417 and 429 (to Larnaca bus station). One-way ticket costs €1.50. 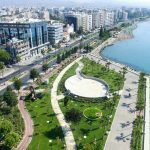 Larnaca Airport to Limassol – Shuttle bus from Larnaca Airport to Limassol is also very frequent and it runs every hour throughout the day. The bus stops at Agios Georgios Havouzas Church in Limassol and bus fare costs €9. Taxi: Getting a taxi ride to Larnaca center is way quicker option of transport, especially if you are in a hurry. Taxis here are a bit pricier than usual so you will pay around €15-20. But then again, if you are travelling with friends, the expense won’t be too high. Also, make sure that taximeter is running or even better, try to negotiate the price with driver before getting in. Transfer: Booking a private transfer is definitely a safer option than a taxi and more suitable for bigger groups or families with children. Your driver will wait for you in front of the airport. Don’t worry if your flight is in delay, transfer companies are monitoring your flight. 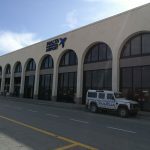 Renting a car at Larnaca Airport: There are five rental companies with their offices at Larnaca Airport. Renting a car is a great option if you want to explore Cyprus on your own. You can rent a car at Avis, Hertz, Europcar, Sixt or Astra. If you want to avoid queues and have a car already waiting for you, book it online. A: Well, considering the fact that Larnaca is only 4 kilometres from the airport, getting to the city won’t be a problem at all. 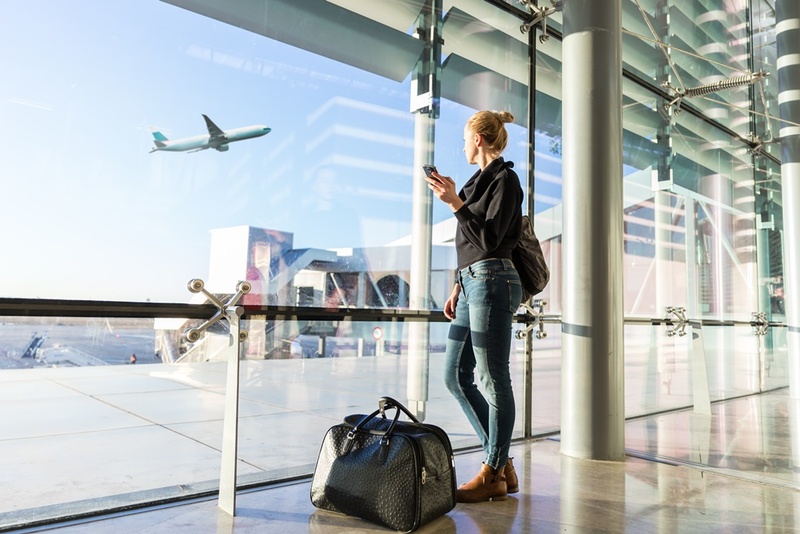 There are several bus lines which operate from the airport to Larnaca centre but in case you happen to miss them all, taxi will wait outside the airport. A: Since the airport is so close to the city, there are no hotels in the proximity of Larnaca Airport. If you need to catch a bus early in the morning, the earliest departures are from 06:00 onwards. Alternatively, you will always have a taxi at disposal. A: There’s a local bank branch at Larnaca Airport where you can exchange money and get euros. If you don’t want to wait in line, there are many ATMs where you can withdraw euros directly. However, travellers are always advised to bring euros prior to the flight to avoid bad exchange rates. Q: I would like to visit Larnaca in between flights. Is that possible? 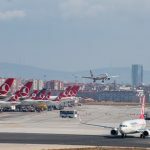 A: Larnaca Airport is not really a transitory airport but if it actually happens that you need to transfer in Larnaca, there won’t be any problems. Larnaca city is close to the airport, it only takes you 15-20 minutes to reach the city.